“Because humans live on the surface of the earth, geography is always important. Because every ancient Israelite, humble or great, lived in close and intimate relationship with the land, if we wish to understand ancient Israel, we need to learn ancient Israel’s geography. Canaan was the Land of Promise God gave to Israel through the events recorded in Joshua; if we want to understand the message of Joshua, we need to study both the physical and the human geography of ancient Israel God’s grand plan of redemption for the human race may transcend both time and space, but God has so far worked it out in a very definite, limited place through a sequence of events in history. To understand God's plan and its fulfillment, it helps to understand the timeline and the map” (p. 33). 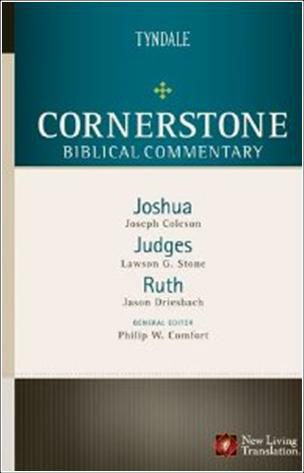 Joseph Coleson, Lawson G. Stone, and Jason Driesbach, Joshua, Judges, Ruth, Cornerstone Biblical Commentary, ed. Philip W. Comfort (Carol Stream, IL: Tyndale House, 2012), 20–33.